Britain will be forced to leave the European Arrest Warrant (EAW) deal after Brexit, the EU's chief negotiator has said. 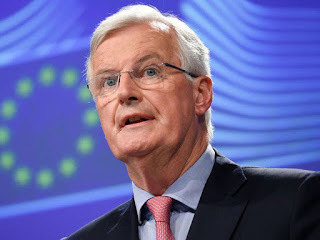 The comments from Michel Barnier will deal a significant blow to the UK government, which hopes the arrangement will continue. Currently, the 28 EU member states can issue warrants for criminals across the continent without bureaucratic extradition negotiations between countries. But Mr Barnier said Britain would be forced to leave the EAW agreement because it is "linked to the free movement of people". He added that Prime Minister Theresa May's opposition to retaining the Charter of Fundamental Rights and allowing the European Court of Justice jurisdiction over UK law were also factors. "This does not mean that we cannot work together on extradition," Mr Barnier insisted.